David Hilbert testified Wednesday before Congress on behalf of the National Marine Manufacturers Association to address concerns about E15 and marine engines. Hilbert, a thermodynamic development engineer for Mercury Marine, participated in a hearing before the Subcommittee on Energy and Environment of the House Committee on Science, Space and Technology. The subcommittee invited a number of specialists to testify on E15 and its effects. Hilbert’s testimony highlighted the damaging effects that E15 has on marine engines. He noted that more testing is needed to further identify how E15 will affect engines and fuel systems under various conditions. 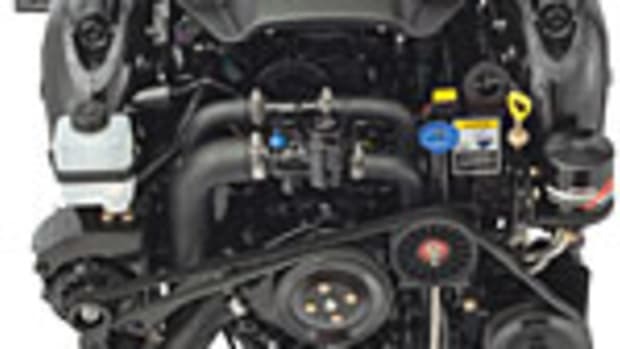 Mercury’s testing showed significant problems with outboard engines, including severe damage to engine components and an increase in exhaust emissions, reinforcing the recreational boating industry’s concern that E15 is not a suitable fuel for marine engines, the NMMA said. The subcommittee heard testimony from representatives of the U.S. Environmental Protection Agency, the American Petroleum Institute, Gevo, the Energy Biosciences Institute, the University of Wyoming Institute of Environment and Natural Resources, and the National Petrochemical & Refiners Association.